It begins with the sound of little bells and the smell of seawater. 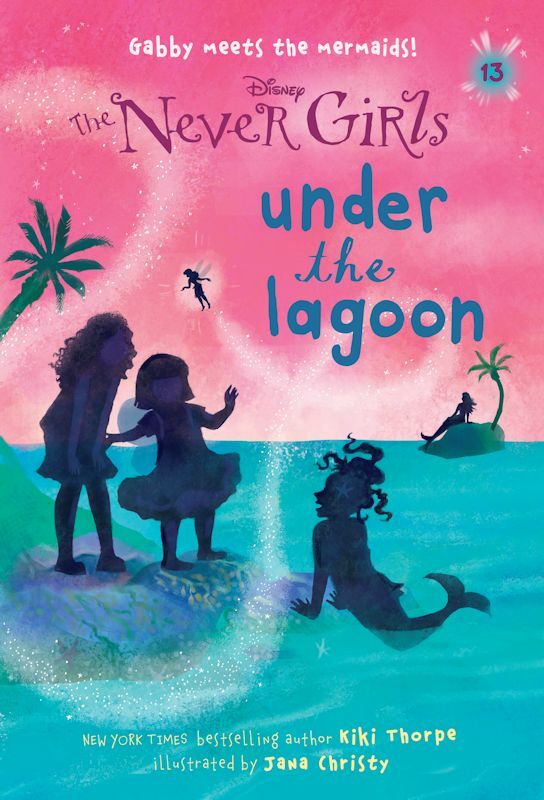 Before they know what’s happening, best friends Kate, Mia, Lainey, and Gabby are suddenly whisked to the island of Never Land. There they meet Tinker Bell, Prilla, Queen Clarion, and the other fairies of Pixie Hollow. Never Land is a place of magic and adventure, where the most impossible dreams can come true. All too soon, though, the girls must say good-bye to their new friends and return to their homes on mainland, for their presence in Pixie Hollow is an accident. Or is it? When magic follows them home, the four friends quickly discover that every day can be an adventure. 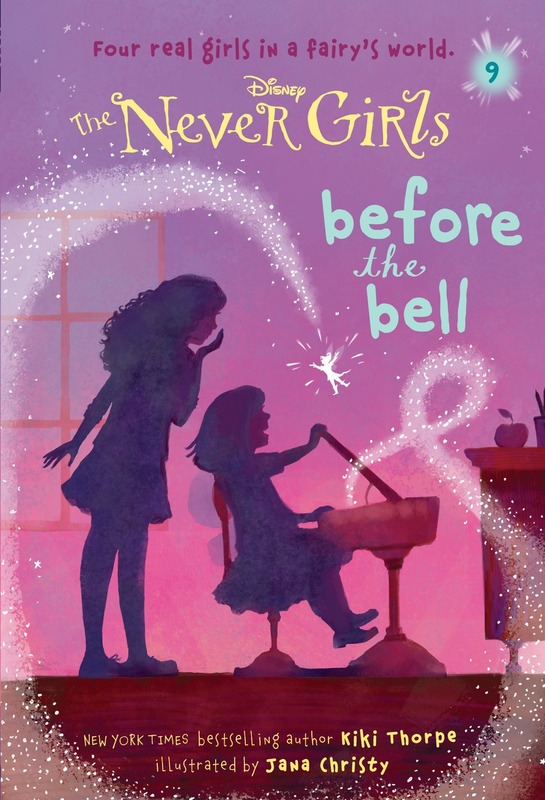 Check out the Never Girls book parties featured on The Disney Channel! 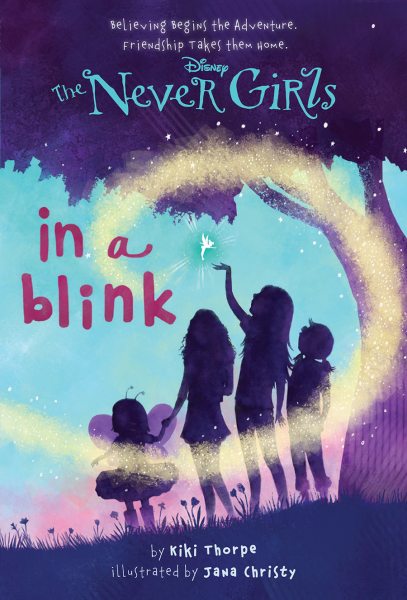 In the blink of an eye, Kate, Mia, Lainey, and Gabby get their biggest wish—they’re whisked off to Never Land, home of Tinker Bell and her fairy friends. The adventure of a lifetime is just beginning! But how will the Never Girls ever get home again . . . ? It’s not fair! Just as they were settling it at Pixie Hollow, Kate, Mia, Lainey, and Gabby have to go home! Tinker Bell says no kids have ever come back to Never Land, but Lainey refuses to believe it. Will she never get to ride a deer through the woods again? And how can she learn the languages of animals away from the fairies? Even when the girls leave Never Land, its magic seems to follow them. That mouse in Lainey’s kitchen—she’s sure it was one of the fairies’ mice! Is there some kind of splinter between the worlds? 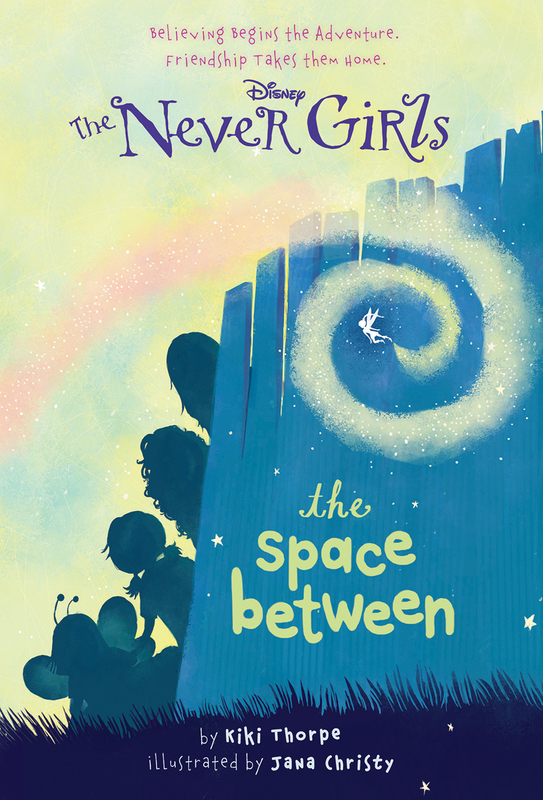 Whenever the Never Girls want to go to Pixie Hollow, they just climb through a broken slat in the backyard fence. But what happens when the fence is fixed . . . with Gabby stuck in Never Land? Kate, Mia, Lainey, and Gabby are special girls. 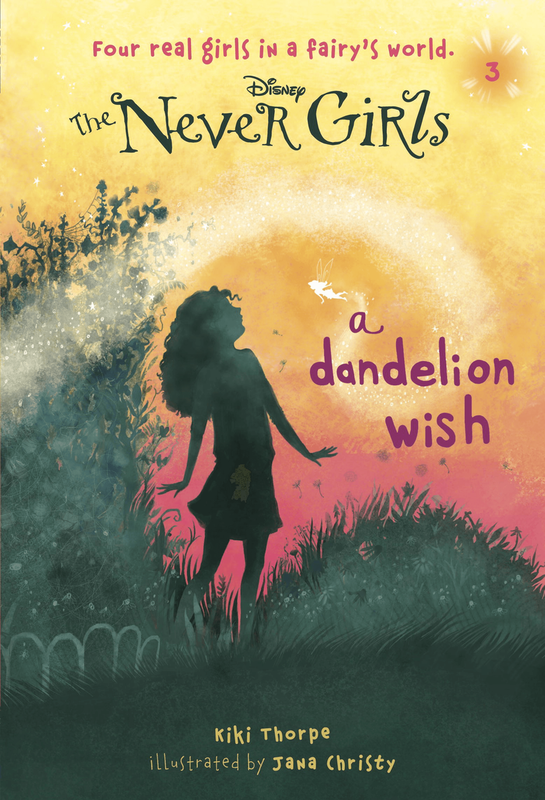 They know how to travel to Never Land, and this time Kate is craving an adventure. 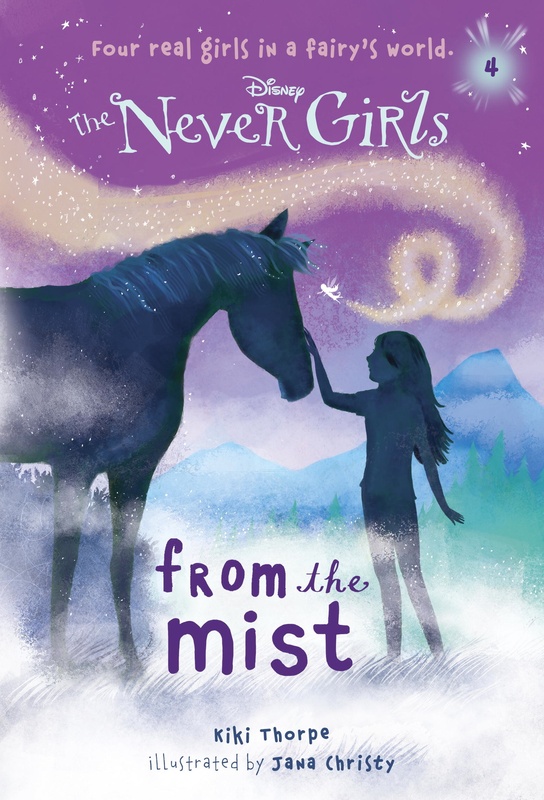 She gets her wish when mysterious mist horses arrive in Pixie Hollow and one takes her on a journey through the magical island. 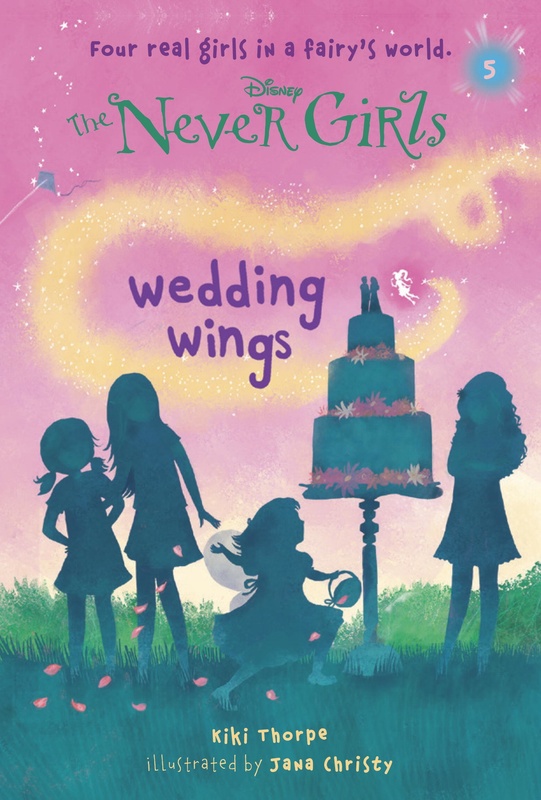 The Never Girls are going to a wedding, and Gabby is the flower girl! When the fairies hear about it, they wish they could go, too. One little fairy hiding in Gabby’s basket couldn’t cause too much trouble . . . right? Lainey has never been alone in the Never Land forest before. First she thinks she hears a rabbit talking to a fox. Then she finds an underground hideout. 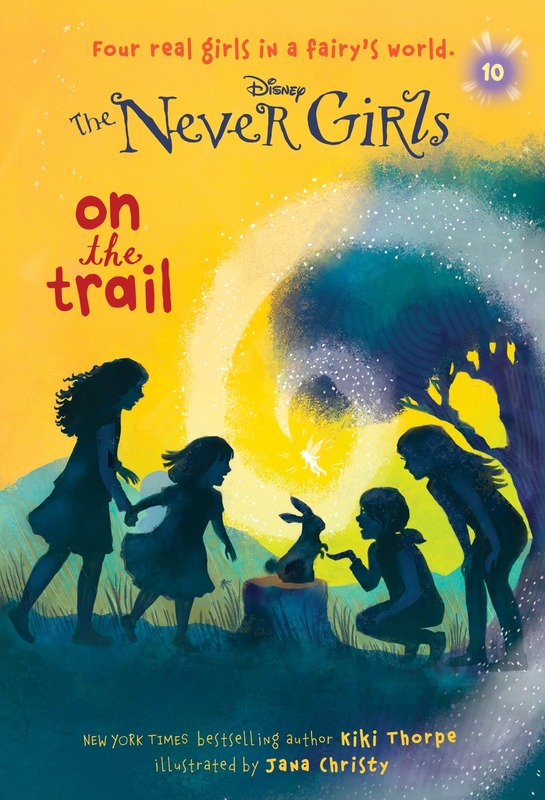 Are the Never Girls really the only children in Never Land? Big baking plans turn into tiny little cakes when Mia gets a fairy’s help for her neighborhood bake sale. Baking-talent fairy Dulcie loves visiting the girls, but she’s worried about her friends back in Never Land. Can Mia finish the cakes without her? Kate and her three best friends finally meet a Never Land legend–Peter Pan! Together with Tinker Bell, Peter leads the girls on a daring journey that takes them to the far corners of the magical island. Kate loves adventures. But will she follow Peter everywhere . . . even onto a ghost ship? It’s the first day of school, and Gabby can’t wait to tell the fairies all about it. She even met a new friend who loves fairies as much as she does! 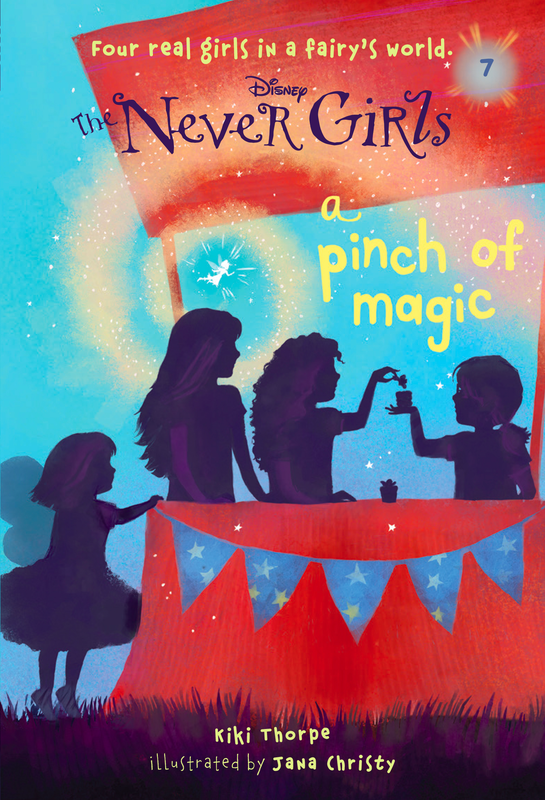 But what will the Never Girls do when a fairy goes missing in Gabby’s new classroom? 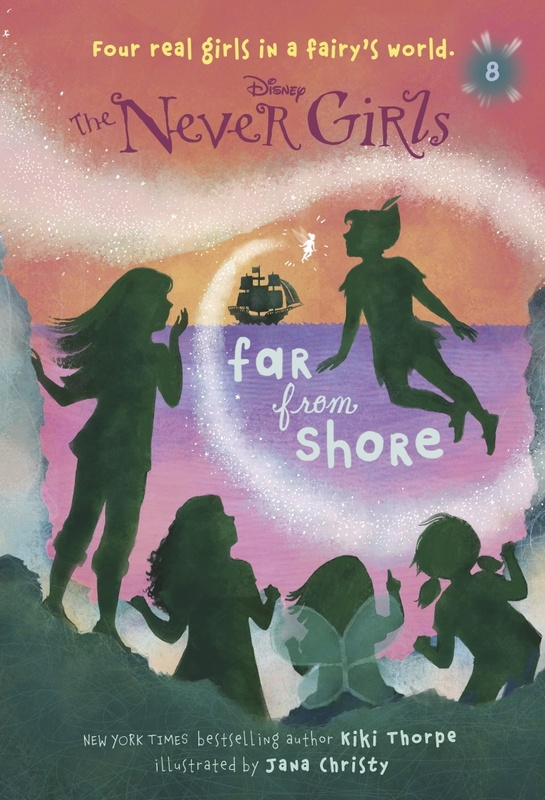 Kate, Mia, Lainey, and Gabby travel to Never Land, where they find adventure, friendship, and . . . mystery! When the girls realize that animal talent fairy Fawn is missing, the search is on. It’s a big day for Lainey. She’s finally getting her first pet—a goldfish! 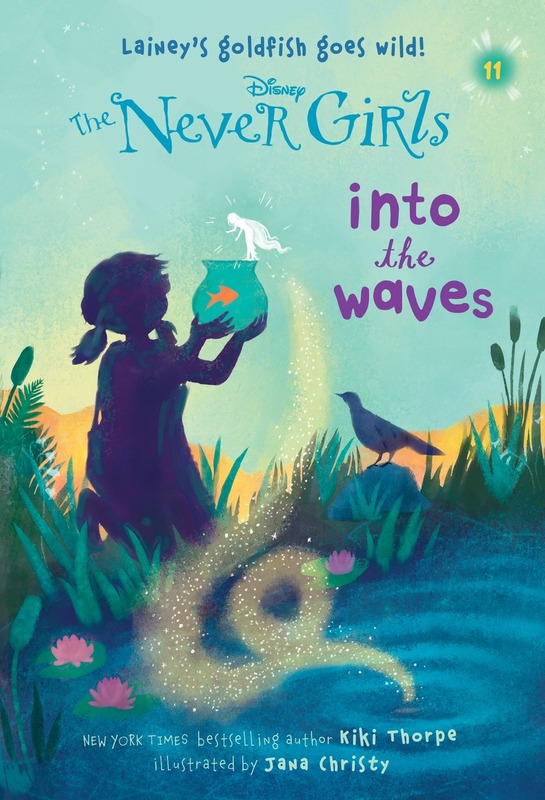 But when her new pet escapes in Pixie Hollow, the Never Girls must embark on a river adventure through Never Land to bring him home—if they can find him! 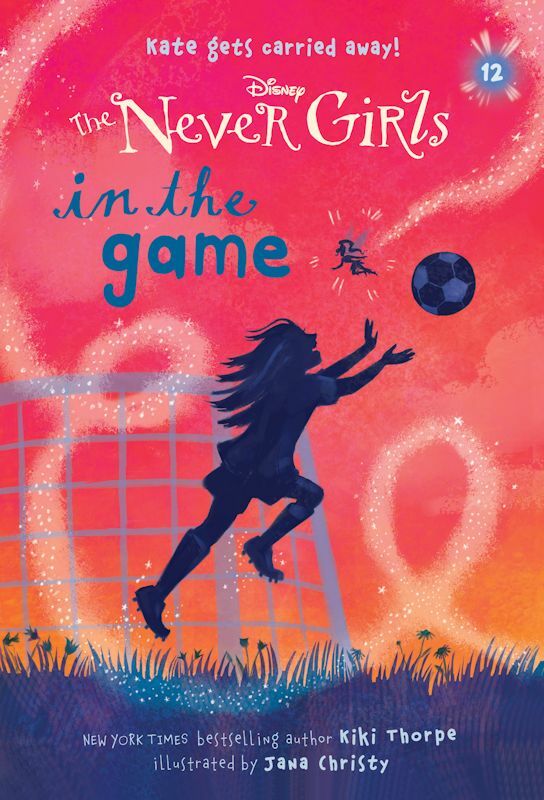 Kate loves flying in Never Land, and she loves playing soccer. But when she accidentally takes a flying leap during practice, Kate realizes that there are a lot of ways to use fairy dust in the real world . . . and mischievous fast-flying Vidia is just the fairy to help her. The fairies in Never Land think that mermaids are nothing but trouble. So when Gabby befriends a mermaid, Kate, Mia, and Lainey warn her to stay away. But Gabby doesn’t want to lose her new friend! 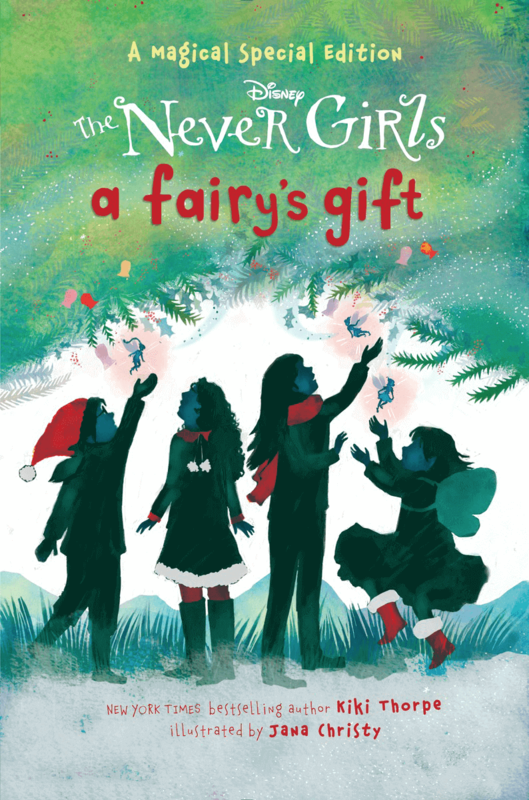 No one believes in fairies more that the Never Girls—Kate, Mia, Lainey, and Gabby. The four best friends can visit Never Land anytime and have adventures with Tinker Bell and the rest of the fairies. But eventually, most people grow up and forget about fairies. And fairies need people—especially children—to believe in them. Without belief, a fairy’s magic cannot be. 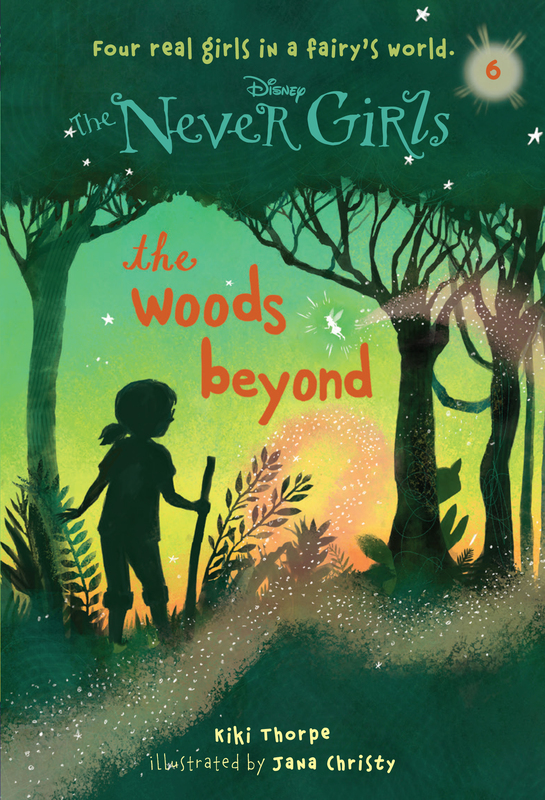 When the girls find out that widespread disbelief is threatening the fairies, they have to find a way to make their families and neighbors believe again—and save the magic of Pixie Hollow. But how can they convince people to believe in something they can’t even see? Kate, Mia, Lainey, and Gabby have been to Never Land many times. They’ve ridden deer with animal-talent fairies. They’ve tended flowers with garden-talent fairies. They’ve flown high above Never Land with Peter Pan and Tinker Bell. But there’s still one thing they’ve never seen: a new fairy arrival. Today, they will. Even the fairies are surprised when the new arrival announces that she’s a fire talent. She’s the first fairy in Pixie Hollow with this dangerous skill. 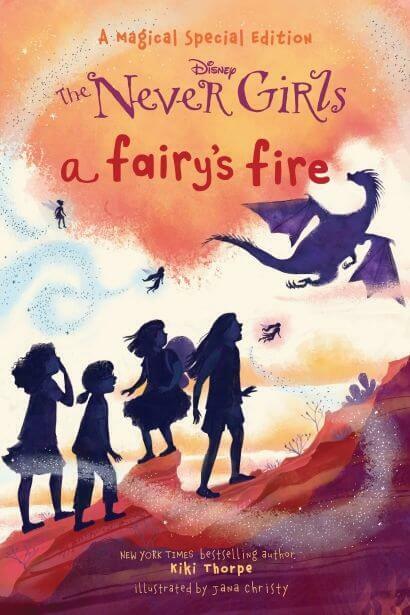 And she might be just in time to help the Never Girls deal with an even more dangerous new arrival—a dragon!